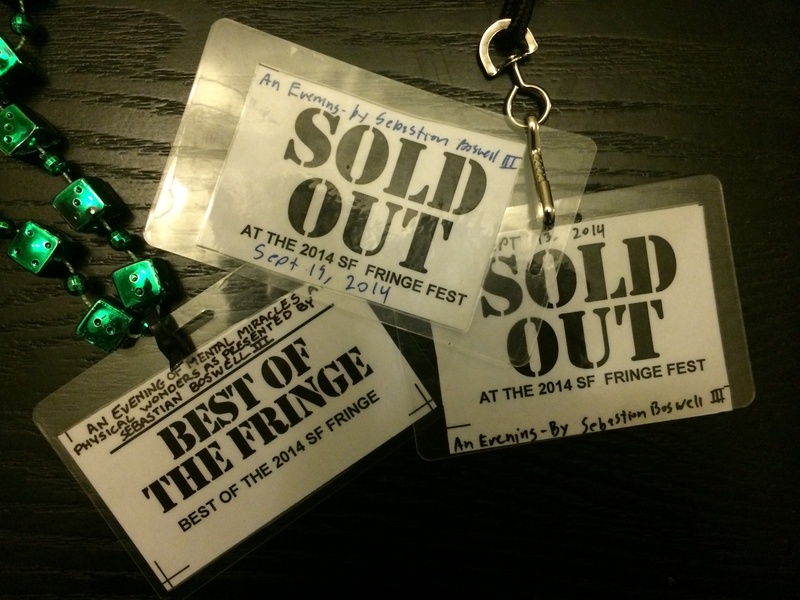 I recently performed at the San Francisco International Fringe Theater Festival. I presented my show, An Evening of Mental Mysteries and Physical Wonders.It was a great experience, the show sold out, and won a Best Of the Fringe award. I was honored to be a part of such an amazing festival.